JOHNSON SPACE CENTER, Texas — NASA’s next crew-rated spacecraft, Orion, has been engineered so that the vehicle is designed with the crews – who will fly on it – firmly in mind. An official working on Orion told SpaceFlight Insider that Orion’s windows, flight controls, even the seats in the roughly 22,899 lbs (10,387 kg) vehicle are being carefully crafted to guarantee mission success. SpaceFlight Insider interviewed Lockheed Martin‘s (the prime contractor on Orion) Orion Crew Module Director, Jim Bray, in November 2016, about how the 11-foot (3.3-meter) tall spacecraft is being crafted to support missions which could include destinations such as an asteroid, the Moon, and, eventually, Mars. NASA’s Astronaut Office, based out of the agency’s Johnson Space Center in Houston, Texas, is keeping its current corps of veteran and up-and-coming space-flyers in the mix in terms of Orion’s systems and subsystems. A fact Bray underscored. Orion’s first mission, Exploration Flight Test 1, or “EFT-1”, might have only lasted four hours and 24 minutes. Future voyages that Orion is a part of could last months and possibly longer. 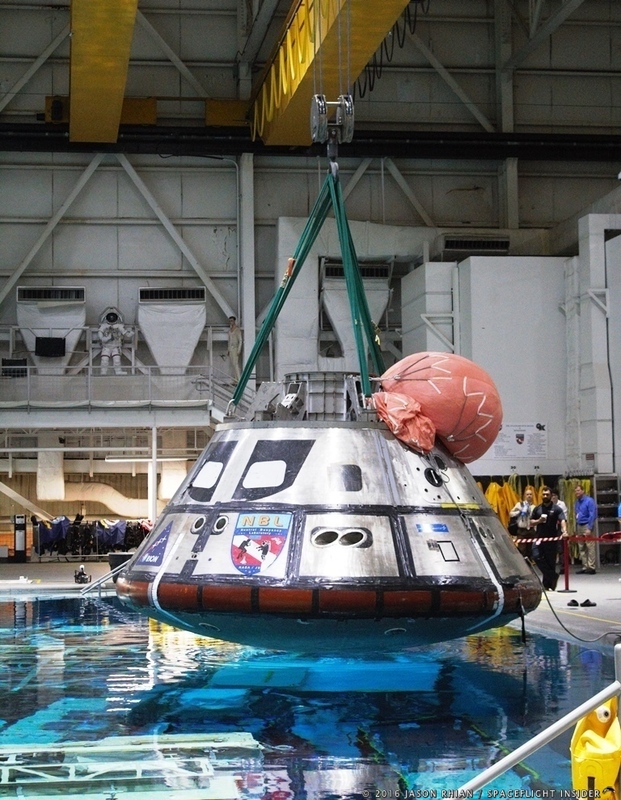 NASA has big plans for Orion and the spacecraft has proven to be a survivor. NASA has been working under its “Journey to Mars” since October 2015. This initiative appears to have considered the fluid nature of U.S. politics and funding. Under former President Barack Obama, the agency faced a complete cancellation of its crewed exploration efforts (excluding missions to the International Space Station which would have launched on Russian and then on commercially-provided vehicles) and was looking at having approximately 6 years’ worth of work (and an estimated $9 billion invested) lost. NASA and its family of contractors working on Orion have built on that, developing a program and the support systems to allow it to proceed. Orion first took to the skies atop a United Launch Alliance Delta IV Heavy rocket on Dec. 5, 2014, from Cape Canaveral’s Space Launch Complex 37 in Florida. While EFT 1 used the Heavy variant of the Delta IV launch system, the next flight of Orion, Exploration Mission 1, plans to use the massive Block 1 (which has the capability of hoisting some 70 metric tons to low-Earth orbit) version of NASA’s new Space Launch System super heavy lift rocket. The first crewed flight of Orion is currently set to launch from Kennedy Space Center’s Launch Complex 39B in the early to mid-2020s.